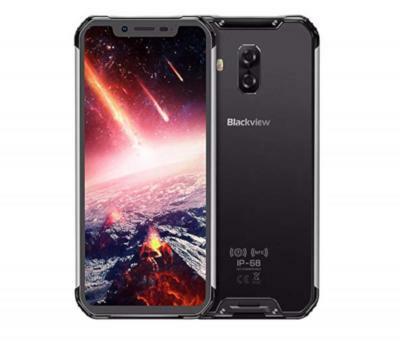 The Blackview BV9600 Pro is an outdoor rugged Android (8.1) smartphone that features a 6.21-inch 1920x1080 notch-type AMOLED display, a Heilo P60 chipset, 6GB of RAM, 128GB of storage and a large 5,580mAh battery. The BV9600 Pro is waterproof (IP68/IP69K, up to 1.5 meters for 30 minutes) and dust proof. The screen also has wet-finger tracking technology and a glove mode. The Blackview BV9600 Pro is shipping for $489.99 (note: affiliate link to Amazon).